Many surburban parts of the USA. We're struggling to figure out to buy a 200-250k house. The problem is that the property taxes are so high that your mortgage payment is effectively doubled. Also want a sufficient down payment and we're a little over halfway there (with no help from outside parties). A 3 bedroom 1 bath house for $250k where I live is either a tear down or very ugly (which I can deal with if the rest is classic and has potential enough). I will not be ok with taking out loans in order to fix any major problems after initially buying the house, so it has to be ugly but functional. Well that's comforting. We're 15 years older than you and Mike so although our income has increased, we don't have nearly as many working years left so a) we have less of a window to borrow and be expected to repay, and b) actually repay. $500k is the maximum price we can pay for a house, to be mortgage free by retirement. It's kinda scary because that gets us hardly anything in New Zealand or Australia, in places where Pete could actually find work. Seriously. It's so depressing. I wonder how hard it would be to emigrate to the U.S. and live under President Cuckoo Banana's watch. Under $400,000 and it has a detached meditation temple. I want it real bad. I also love New Orleans. But then there's flooding to worry about. I guess it's not for sale anymore but it was like maybe a month ago? 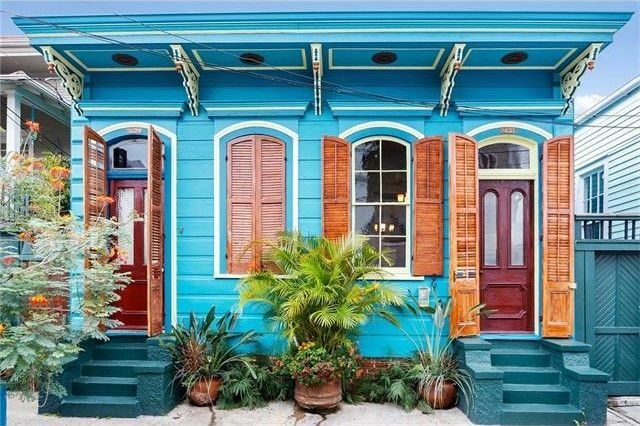 I loved New Orleans when I was there, but I can't bring myself to buy in a flood zone. Not rich enough to swallow that loss. I won't buy in most parts of New Zealand because of the risk of earthquake damage. We can only buy one house. We need it to stay standing, and stay dry. It doesn't have to be in a cool neighbourhood. 1960s era brink homes with two stall attached garages in my neighborhood for about $150k. 2 miles from city centre and at the intersection of two bus lines. Two supermarkets within a 5min walk. Our unemployment rate is about 2%. There are thousands of unfilled jobs here. Only problem is that homes are selling within hours of being listed. Hottest real estate market in the country, but not yet too expensive. Last edited by MyOneAndOnly : 08-29-2017 at 03:56 PM. 2.5% according to the bureau of labor statistics. Median home price is $171k. Still in Michigan. which type of dollar are you talking, vix? The median home price of Somerville is $292k and the unemployment rate of somerset county is 3.2%. NJ: has a bit of everything. Like lead. Flint gets a lot of press but I think we low key have them beat. But Michigan is a lot more obese. If I were to move out of NJ we'd go down to state #50. If you can afford a 500K house, I don't think you're dying of poverty. Why does this thread feel like a humblebrag? Please tell me this isn't a humblebrag. Yes, depending on your property taxes. My mom told me to only buy a house when we have 20% of the asking price. So for our reasonably priced starter home this is 40-50k, which is a lot for a millennial. I know this isn't BAD advice, but has anyone not done it and lived to tell the tale? Most banks will do 10% down, which is fine.